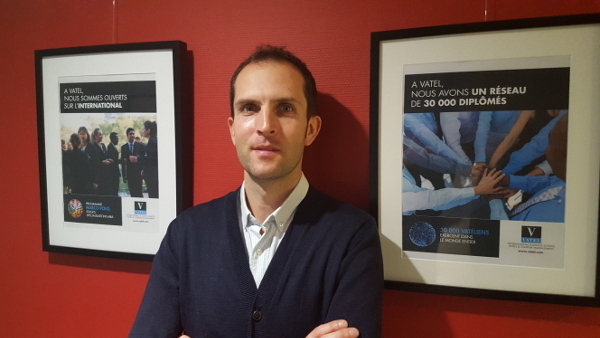 Jean-Etienne Palard, with degrees from the prestigious Ecole Normale Supérieure and Sciences PO Paris, is also a lecturer in finance. When he lectured at Vatel Bordeaux, he spoke about how the world of finance impacts the hospitality and catering industries. And the last one as a researcher, with my Ph.D, entitled: “Strategic refocusing, capital structures and financial volatility,” which targets listed European companies. Financial analysts follow between 15 and 20 clients. Clients can be investment funds, and equity and pension fund managers. I give them recommendations with the aim of improving their external growth to expand. What is the current financial environment in the hospitality industry, in your opinion? Since 2013, interest rates of the European Central Bank are historically low, which facilitates the circulation of capital and consequently, investments. Europe remains the top tourist destination in the world. For the number of person-nights, France and Spain are the countries that hosted the largest number of tourists in 2017. Tourism in Europe grew by 8% compared with 2016 in a very conducive global context with the highest figures in the past seven years. Innovations and ruptures which have overturned the sector such as the arrival of Booking and Airbnb. Booking has become the world’s largest hotel service group in the world, yet it doesn’t own a single room. Their market value hit 105 billion dollars, which is more than the world’s five largest hotel chains. Just as other online booking platforms, Booking generates business using the assets of others. It’s like the hospitality sector was uberized. Accor group sold many of its hotels to propose new services and invest in digital technology. What in your opinion, is the right funding strategy to build or develop a hotel? As I explain when I play the role of a banker in the Vatel International Business Game, the first stage is to present a project that is as clear as possible with a true business plan. In the hospitality industry, we’re looking for the profitability of a project over an eight to ten-year term. You must consider the costs of renovating rooms, for instance. – or you decide to have a mid-range strategy with lower prices. What specificities in the world of finance do you have to pay attention to when investing in hotel and restaurant services? For the past twenty or so years, there has been a homogenization phenomenon. There are IFRS standards. This means that the IFRS standard number concerns the revenue hotels make. It gives you the date at which you must declare your turnover. That allows you to compare a company based in Germany, with an Italian or Japanese censor. The economic system plays a decisive role in the profile of projects that are funded. If you want to launch a particularly innovative hotel or catering project, you’ll probably have a better chance of finding investors in the United States than in continental Europe or Japan. Eighty percent of liquid assets injected into companies come from banks in the Old Continent or in the Land of the Rising Sun. In the United States, over 50% of money injected into companies stems from financial markets. The main consequence of this divergence is this: a European bank will prefer a traditional sector such as the automobile or pharmaceutical industries as well as large companies. In Uncle Sam’s country, people invest in young companies with high global growth potentials. You often see a physical person invest huge amounts of money into an embryonic project to get it started. They are called Business Angels. There are 500,000 of them in the United States compared with only 1,000 in France. For the past twenty years, the homogenization of international financial standards has impacted the hotel and restaurant services field. Nonetheless, national economic systems continue to affect the profile of emerging companies.